On December 31, 2018, Ventura County Sheriff’s deputies from the Ojai Police Station responded to the 1100 block of Woodland Avenue in Ojai for a report of a possible animal cruelty. According to third hand information, (S) Donhvon Snyder, was suspected of killing the family dog. Once the Sheriff’s deputies learned that Snyder, had in fact, killed the family pet, Ojai Police Station detectives responded to assist the patrol deputies. The West County Detective Team is comprised of detectives from the Ojai, Fillmore and Headquarters stations. Two of the detectives on the team have specialized training in the investigation of animal cruelty and animal related crimes. They were a part of this investigation. Detectives learned that Snyder had a hatred for the small 10 year-old-female canine (Chihuahua mix) named, “Victoria” and maimed the canine prior to the final act of ending Victoria’s life. Snyder explained how he had not cared for Victoria (for some time) and how she belonged to his 62-year-old father. Snyder showed detectives where the crime occurred and where he had buried Victoria after the incident in November. A Ventura County Animal Control Officer exhumed Victoria’s body from the scene and preserved it as evidence awaiting further investigation. After Victoria’s body was recovered, detectives had Snyder arrested for PC 597(a), Animal Cruelty causing death. Detectives attended the necropsy at the Ventura County Animal Shelter in Camarillo and learned Victoria had also sustained trauma around her neck, which resembled strangulation, prior to her death. The veterinarian determined Victoria had suffered from her injuries, which also included broken bones, for an extended period of time, prior to being killed. The multiple injuries she sustained were consistent and paralleled some of statements made by Snyder. 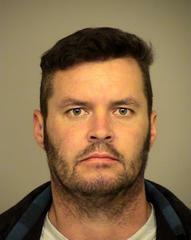 Detectives presented the investigation to the Ventura County District Attorney’s Office. The District Attorney’s Office elected to file the previously listed charges against Snyder, plus an enhancement for using a weapon during the commission of a crime. Snyder is still in custody at the Pre-Trial Detention Facility with bail set at $30,000.00.